Much of the fun of visiting a new place is discovering it for yourself, and there are lots of places to explore in Colusa. 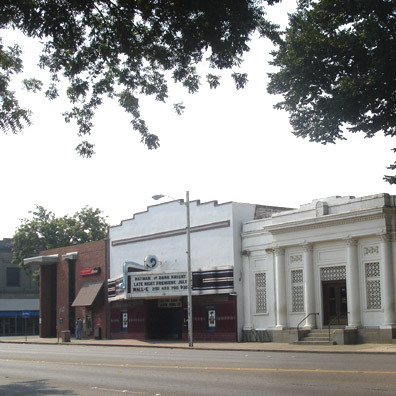 Here are a few nearby places we especially like- most within easy walking distance of Jay House. For breakfast and lunch 7 days a week, check out Tommy’s Market Street Grill just 2 blocks away at 4th and Market. Their omelets are excellent and they run a variety of specials. Watch for the signboard advertising fresh baked cinnamon rolls- worth a stop! On weekdays, you can also pick up coffee and pastries in the lobby of the Colusa Theater. Gino’s Steak House is on 5th St between Jay and Market. A little upscale, nice wine list, tasty entrees. Gino’s is closed on Sundays and Mondays. There are two new restaurants across from the courthouse (between 5th and 6th on Market). 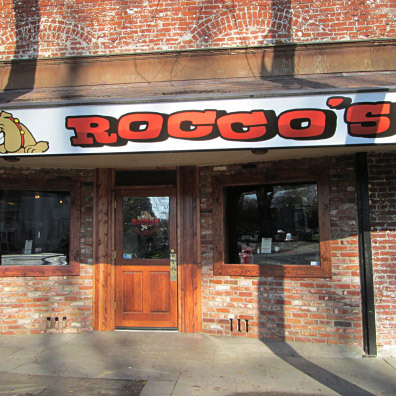 Rocco’s Bar and Grill has a full bar and a big menu ranging from sandwiches to steaks. It’s open for lunch and dinner 7 days a week. Next door to Rocco’s, Dragon Island offers Chinese food Monday- Saturday. For nearby Mexican food, Tacos El Amigo de Colima recently moved to Market between 6th and 7th. They’re open every day with a standard menu of tacos, tamales, burritos etc. Mexican bakery La Tiendita is on 1st St between Jay & Market. Take a tray and tongs and make your selections from the big display cases. Delicious sweets at ridiculously low prices. They have recently expanded to include snacks and sodas as well. Rick’s Freezette has classic American fast food with walk-up windows and outdoor tables where you can sit with your dog. If you came into town on 20 from the west, you passed it at Fremont Street. Riverbank Pizza is a genuine local pizzeria, really good and they even deliver. Be sure to call or go in early in the evening as if business is slow they may turn the ovens off before closing time. They’re on Fremont St. in a tiny commercial strip between 6th & 7th. 510/458-4711 for deliveries. Steelhead Lodge is a short drive and has a nice outdoor patio with a water view (though dogs are not allowed) as well as a sort of sportsbar ambiance inside. They also have free wifi, and are open till 10 on Friday and Saturday nights (closed Mondays). Take Bridge St (the street after 1st St at the east end of town) across the river and turn immediately right on Butte Slough Road. The restaurant is about a mile ahead on your right. A couple of miles farther up Butte Slough Road is Lovey’s Landing, a marina/RV park/ restaurant. It has a full bar, and a basic menu including steaks and burgers. There’s an informal deck with river views and though table service is not available on the deck it’s a nice place to sit with your dog. Lovey’s is open for dinner 7 days/ week year-round, and the bar opens at noon on weekends. You can walk to Chung Sun Market, a full service supermarket that faces the alley between Market and Main at 6th St. There’s a deli, pretty good produce section, and good wine and beer available. Colusa Fitness Center 5th between Market and Jay. Day passes are available. Colusa Casino: just north of town on Hwy 45. Buffet and sit-down restaurant too. Tennis courts: public courts are in the park just three blocks south on 3rd (at Parkhill.) There’s a play structure there for kids too. Kittles Outdoor and Sport Company, new location on Market between 8th and 9th. Pickett Fence Antiques on Market between 3rd and 4th is a fun place to browse, carrying a variety of antique furniture, vintage games and toys, collectible trains, and more. 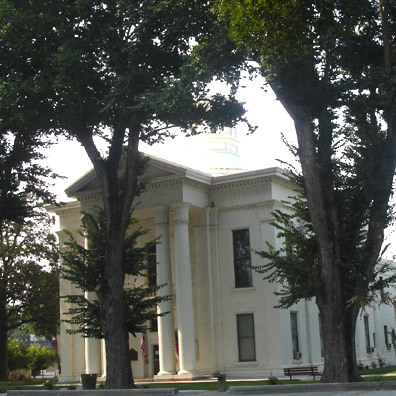 The Colusa County courthouse is one of the oldest in continuing operation in the state. 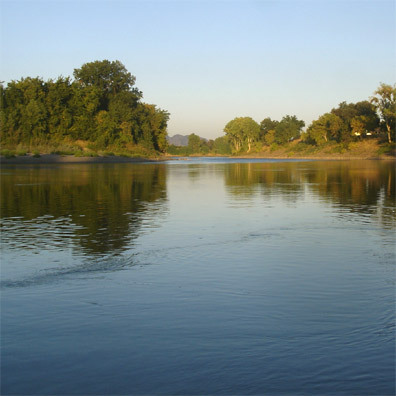 The Sacramento River as it passes Colusa. 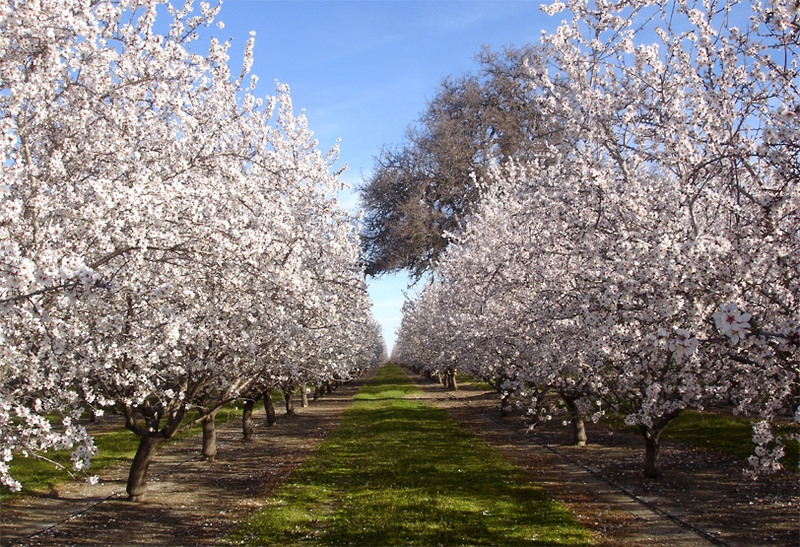 Almonds are one of Colusa County’s principal crops, along with rice and tomatoes. 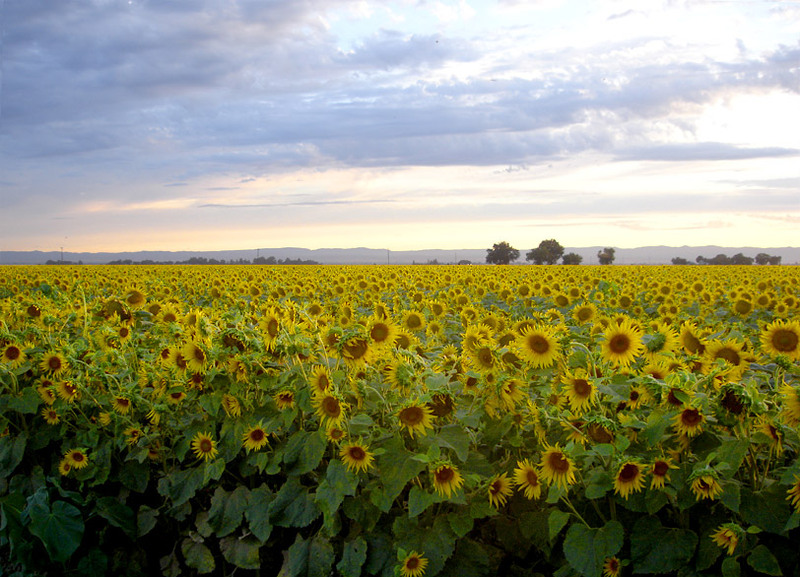 Sunflowers are another beautiful crop. Lazy warm days continue well into the fall. 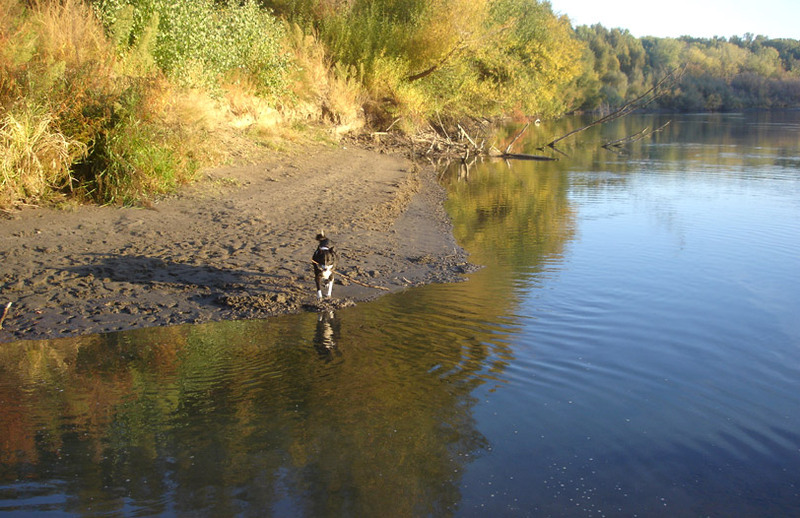 The Sacramento River is only a few short blocks’ walk from Jay House. 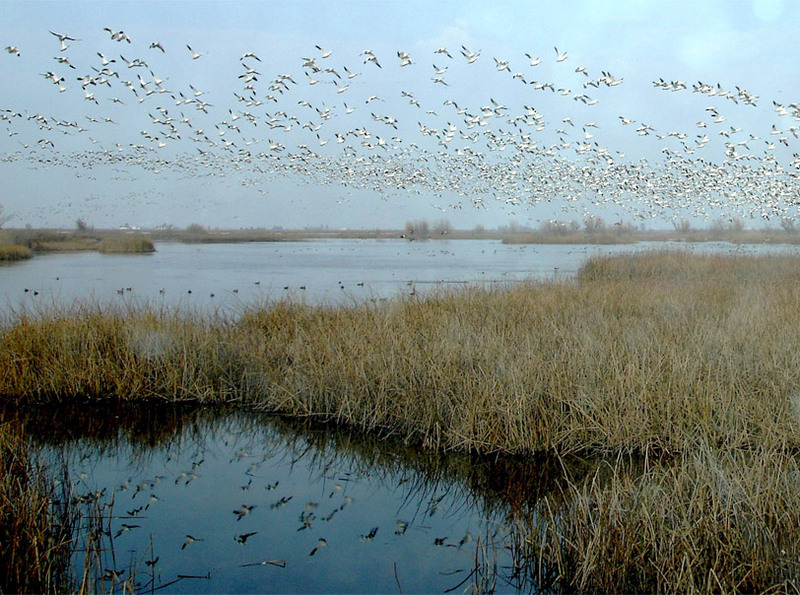 Snow geese are among the thousands of migratory birds that spend the winter in local wildlife refuges.